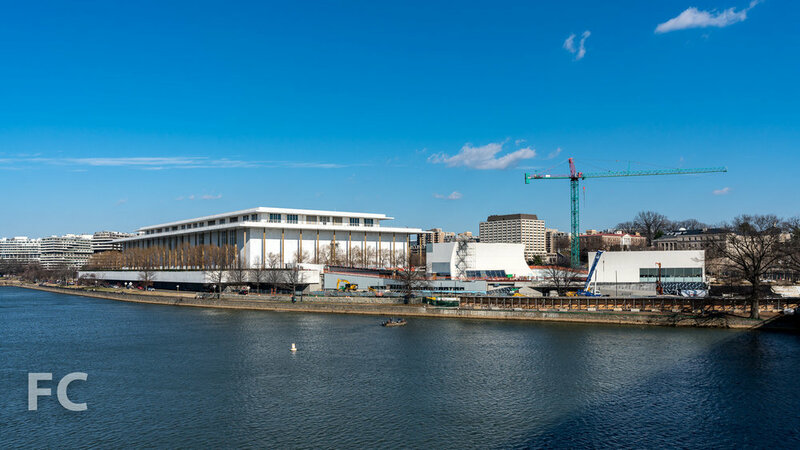 Exterior wall construction is nearing completion at the expansion of the John F. Kennedy Center for the Performing Arts in Washington, D.C. 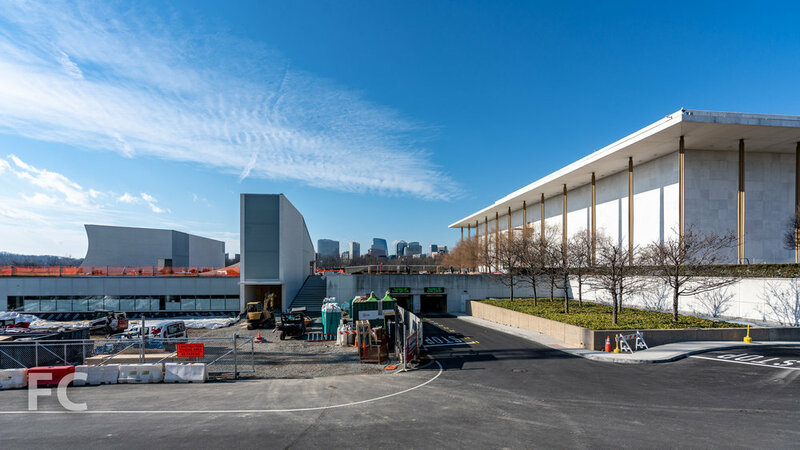 Designed by Steven Holl Architects, the expansion is located immediately south of the original 1971 structure by Edward Durell Stone. Rather than build onto the existing structure, the architect has designed a series of structures that will house rehearsal rooms and classrooms, a lecture hall, multipurpose meeting rooms, and an event space. Holl envisions his design strategy as a means to connect the expansion with the landscape and the adjacent Potomac River. Architect: Steven Holl Architects (Design Architect), BNIM (Architect of Record); Structural Engineer: Robert Silman Associates; MEP Engineer: Arup; Landscape Architect: Edmund Hollander Landscape Architects; Envelope Consultant: Thornton Tomasetti; Client: The John F. Kennedy Center for the Performing Arts; Program: Performing Arts; Location: Washington, D.C.; Completion: Fall 2019.